Hello again, backers and fans! We have a few updates for you today, starting with our Slacker Backer totals. We didn't hit $4.75M, which means we didn't make our Sea Monsters & Fishing stretch goal. However, we'd like to thank you for all of your contributions to this campaign. Because of you, Pillars of Eternity II: Deadfire is possible. 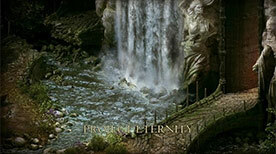 We promise to make Pillars II an amazing sequel that will immerse you in breathtaking new environments and present you with brand new adventures as you journey through Eora once again. Thank you, from all of us here at Obsidian! Even though our Slacker Backer funding no longer counts towards stretch goals, you can still back through Fig and our Backer Portal if you want to get backer rewards or add-ons! New backers (i.e. anyone who makes a new backer pledge after May 12th) will still be able to contribute to the overall campaign total up until we begin pre-orders for Pillars II, which will happen at the end of this year. Most Add-Ons will also increase in price slightly, starting May 12th. Those people who have already backed Pillars II and confirmed their pledges on our Backer Portal may modify their pledges at any time, without increased reward prices. If you're interested in becoming a new backer and want to contribute through the Fig site, you will be able to do so until Friday, May 12th at 5PM PDT. At that time, Fig Slacker Backer funding will be turned off, and you will need to back through our Backer Portal instead of Fig. However, you can still come to Fig for any updates and news we release! In other news, we are finalizing surveys for our $500+ backers who are creating content for our game, and will be sending out those surveys and emails at the beginning of May. At the same time, additional surveys will be sent out to everyone who will have their name in our credits. Thanks for your patience, and we can't wait to hear all of your awesome content ideas! Thank you again for all your support. We couldn't do this without you! Feel free to discuss this update on our forums.